Mom, Juno and I, 2000 | Run, Pegleg, RUN! 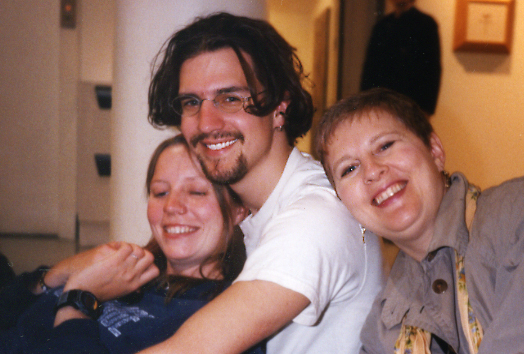 This photo is from the opening of my final show at Cooper Union in May of 2000. I was on top of the world.